Non recourse factoring benefits Riviera Finance trucking clients when freight broker Network F.O.B. announces in an email that they are going out of business. For many other truckers, this is bad news because it leaves then with unpaid freight bills. Unfortunately, this burden of unpaid freight bills is not removed from a trucker if they have decided to sell their invoices to a recourse factor. The carrier will still be responsible and probably have to buy back the invoices in 90 days. This can be of great concern to the small trucker, because it might not be affordable to them. There are options to try and collect on unpaid freight bills. 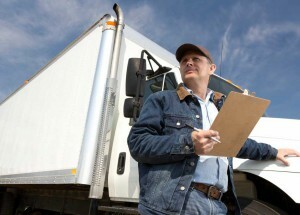 A trucker can file on the $75,000.00 surety bond, but this will be quickly depleted. Another option is for the trucker to make a claim to the shipper for payment as the carrier of record, but this is a challenging process. An attorney? Costly. A collection agency? Expensive. A write-off? Likely. There is another choice to eliminating your credit risk for unpaid freight bills and that is by choosing a non recourse factor. By selecting a non recourse factor they assume the credit risk upon purchase of the invoice. The carrier then obtains immediate cash flow on the invoice and also eliminates credit risk. Trucking companies choose not to go to a non recourse factoring because it is considered more expensive. This become a calculated decision for them, depending upon their tolerance of risk and their resources to collect invoices. Riviera Finance has 34 carriers with varying outstanding balances with Network F.O.B. and they will benefit from Riviera Finance’s non recourse factoring program. Now, our skilled staff will roll up their sleeves and by various means begin collecting on these unpaid freight bills. Riviera Finance has been in business since 1969 and provides full service factoring on a non-recourse basis. We always have a vested interest in the credit decision and collection of an invoice. 11 transportation clients benefited from Riviera Finance’s non-recourse factoring programming when the transportation broker, Eleets Transportation, went out of business. In essence, the non-recourse purchase of the invoices allowed the clients to transfer the credit risk and subsequent credit loss to Riviera Finance. Often times, the value of non-recourse factoring is under estimated, but when extending credit terms to a customer there becomes a varying degree of credit risk. 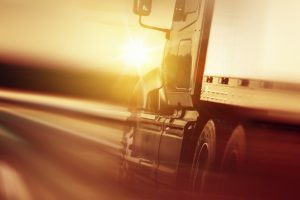 For a trucking company, the credit risk is often difficult to navigate because most of the arranged freight comes through transportation brokers and it is estimated that there are over 10,000 transportation brokers that exist in North America. With Riviera Finance’s non-recourse factoring program credit management is not taken for granted, but considered a major component of service. A Riviera Finance client will find unparalleled support in the credit management provided to them, including credit evaluation on the customer, automated credit decisions through Fastcredit, invoice collection, and assumption of credit risk. These are very tangible benefits of Riviera Finance’s non-recourse factoring program that demonstrate a vested interest in the accounts purchased, and also a deep-rooted understanding on how difficult it is for a small business to absorb a credit loss.